If you are a planning to start or already manage a professional dry cleaning and laundering business, you need to invest in poly garment bags. These poly bags protect clothes from dirt, creases, and damage. If you offer dry cleaning and other laundry services, these garment bags are the perfect partner in maintaining the integrity of cleaned and iron garments. Polyethylene garment bagsare available in various sizes to fit all types of wardrobes. They are guaranteed high quality and won't tear easily. These poly bags are designed with hanger holes and pleated shoulders for easy hanging and storage. They can be customized and allow laundering businesses to print logos, brands, and other information for marketing purposes. These poly bags not only provide safe-keeping to cleaned clothes, they can also serve as effective marketing tool. 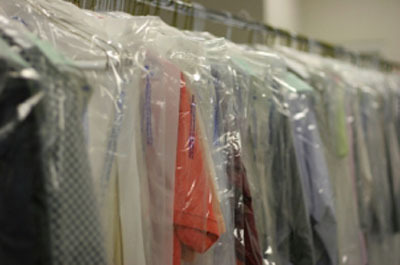 Polyethylene garment bags in Wilmington, MA are the preferred choice by many laundry services because of their customization, availability, and competitive pricing. Contact Atlantic Poly for custom-designed poly garment bags.